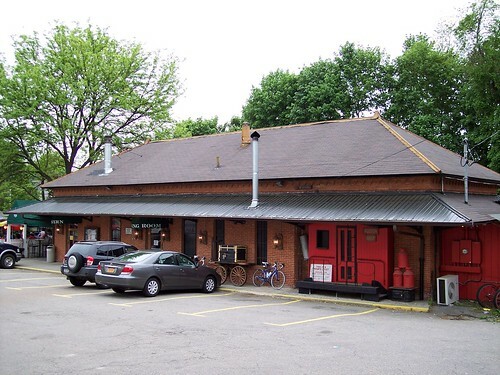 The old Cold Spring station building is now a restaurant. 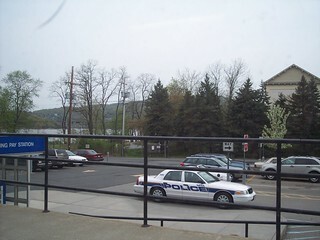 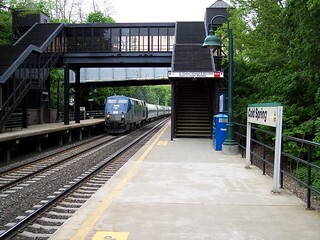 An Amtrak train passes through the station. 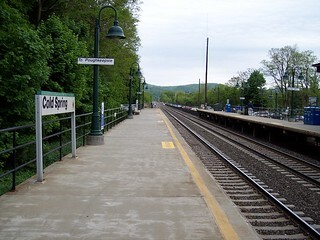 The Hudson River is visible in the distance.